Ensuring the security of the world’s and our own nation’s computers, systems, and networks is a key national security challenge. Thus, establishing high-quality Cybersecurity educational programs is a top national priority as well as a regional imperative since trained Cybersecurity graduates are of critical importance to several large employer groups in this region. The University of Delaware’s Cybersecurity master’s program is structured to enable professionals to gain advanced training in this field. 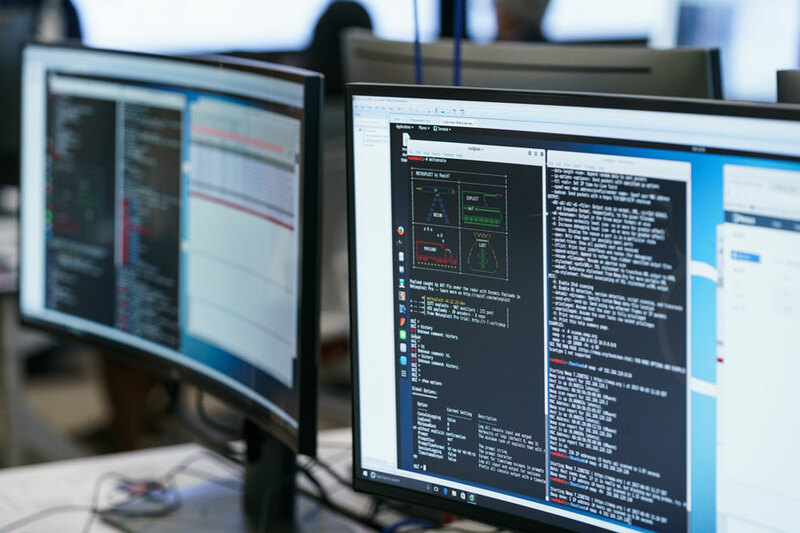 Unlike other programs that are solely focused on IT security, this program emphasizes design of secure software and systems, security analytics, and secure business systems. We train individuals that have a traditional background in engineering, computer science, information systems, or related fields to have strong security skills that enable them to develop new secure systems and/or software, to exploit analytics for security purposes, or to develop and manage secure business systems. Graduates of this program are skilled in the latest theories and practices required to address the most challenging cybersecurity issues facing the world today. The ECE Cybersecurity Master’s program requires 30 credit hours in either a thesis, non-thesis option or online offering. The non­-thesis option requires all 30 credits to be completed through coursework, while the thesis option requires 24 credit hours of coursework and six credits of master’s thesis (CPEG 869). Students must complete 15 credits, or five (5) courses, of Fundamentals of Cybersecurity. Students must complete 15 credits, or five (5) courses, of electives. Elective courses are to be taken primarily from a single chosen Concentration Area. Of these five (5) elective courses, a maximum of two (2) can be taken outside the single Concentration Area (from one of the other Concentration Areas or from the set of Fundamentals of Cybersecurity courses). The Concentration Areas and courses within each area are listed below. The Master of Science in Cybersecurity degree is also offered in a completely online format. The online program was designed for working adults and can be completed in as few as two years. Visit the Online M.S. in Cybersecurity page for more information.